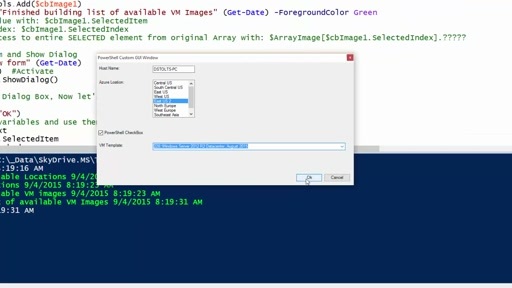 Learn some advanced capabilities within PowerShell. You may have been told that you can't: Change Execution Policy, Collect Data from Users through a GUI, Generate Computer Certificates, and more with PowerShell. The reality is you can do this and much, much more. 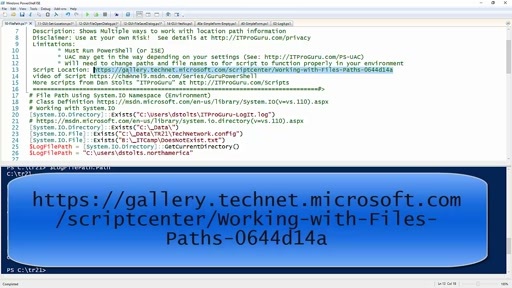 In this series, learn advanced techniques for bringing your PowerShell to life with pop-up GUI dialogs, effective and high performance loops and more. Plus a bonus, many examples will leverage PowerShell for Azure so you will get a deep dive into not only PowerShell, but PowerShell for Azure! 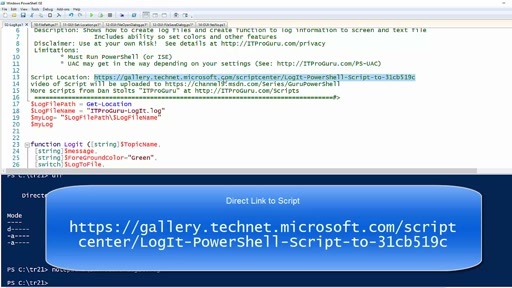 All scripts will be made available so you can "Leverage" the POWER in PowerShell! All of this broken down into bite-sized components that you can consume in just a few minutes each. 1. use various pop-up GUI technologies like File Open Dialog box and Custom Built Dialogs for data collection. 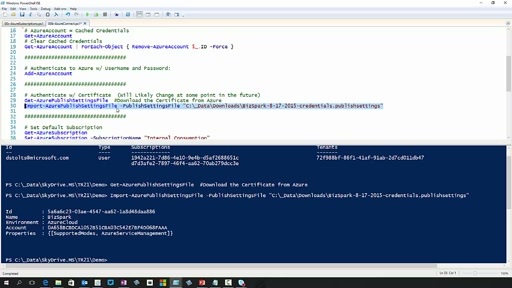 3. use PowerShell to automate the creation and deployment of an entire lab environment in Azure IaaS or even migrate an on-premises website and database backend to Azure. 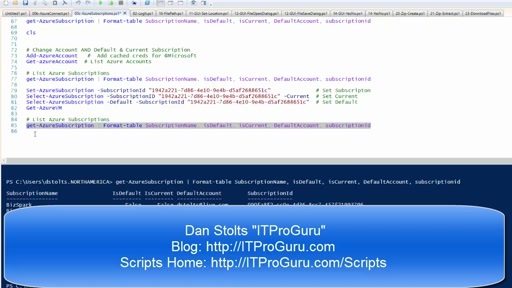 Aug 17, 2015 at 3:12PM by Dan Stolts "ITProGuru"